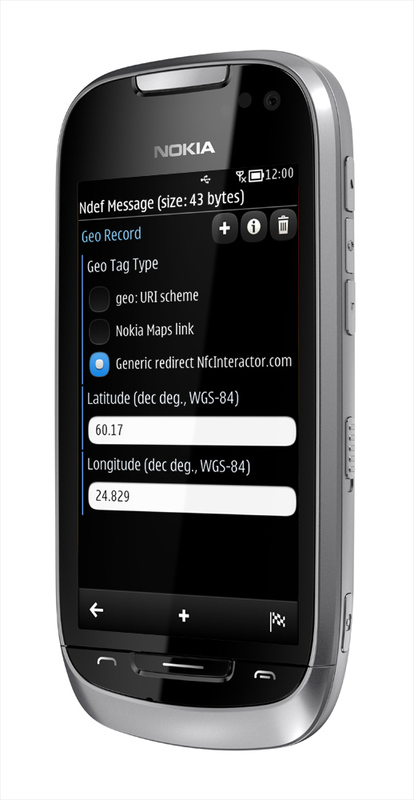 Geo Tags: Store location coordinates on an NFC Geo Tag. Open the Maps application on the phone when touching the tag. App Store Link Tags: Link to your app in various App Stores, always redirecting the client to the right store for the user’s device. The web services hosted at NfcInteractor.com are provided only for testing and development purposes. There is no service uptime guarantee, and the scripts could be modified, updated or removed at any time. Therefore, it is recommended to download the PHP scripts and host them on your own server environment for real-world deployment of NFC services.